Microcontrollers are used everywhere nowadays, even for very simple applications, because they often work out cheaper than discrete components. If any level of complexity is required, then using a microcontroller becomes essential. So, how do you go about microcontroller learning? Kanda have been producing microcontroller trainers for almost 20 years, and they are used all over the world, in colleges and universities and by hobbyists and training companies. They provide an introduction to learning microcontrollers for beginners. A lot of Kanda boards are still in use after 15 years, which is a testament to their build quality. Kanda have written their own books to accompany their learning microcontroller kits and guide the training process, along with full schematics, sample code (C and Assembler), full documentation and datasheets. All development software needed is also supplied to give a complete kit. Broser based tutorials cover everything you need to know to understand microcontrollers and learn to program them in Assembly Language and C. The kit hardware has all the tools necessary to write, debug and program your own projects. They are modular making it easy to add extra features such as sensors and Bluetooth and project examples are included for all these extra features. Which Microcontroller is Best for Beginners? The two most popular microcontrollers for general use are PIC and AVR. There are a lot of other good microcontrollers out there, but these two are the best choice to use for learning microcontrollers because of their widespread use. This means that they are cheap and easily available everywhere, tools are lower cost and there is a huge amount of information on the web about using them. 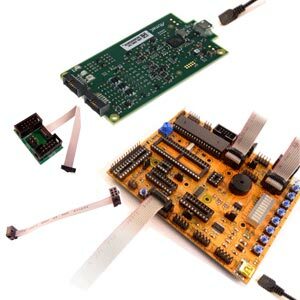 The aim of all our learn microcontroller kits is to give you the basics with a microcontroller course, so that after starting from scratch, you can understand the information that is available on the Internet. A simple low cost microcontroller trainer can not teach you everything about the subject, but it gives you a start. It teaches you about numbering systems, logic, microcontrollers and code programming in assmbler and C, plus how to use the development tools, often the hardest part. Once you have learnt all the basics, the microcontroller trainer gives you the hardware needed to carry on with your own microcontroller development and move on to your own projects. 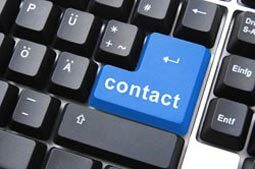 There is lots of information, including sample code and hardware schematics, on a huge range of topics from robots to instruments that you will be able to tap into. Further reading and study may be required on electronics and circuit design depending on your previous experience but Kanda aim to give you an excellent start with learning microntrollers. 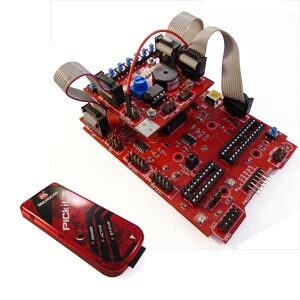 Our latest training kit, PIC-MICRO-X is based on the Microchip PIC16F1789, is completely modular and provides an excellent alternative to Arduino. 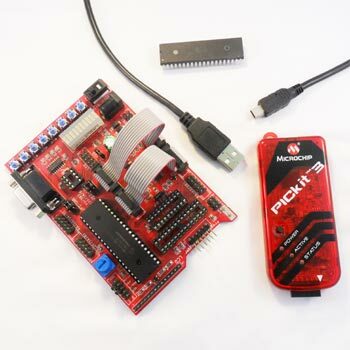 The hardware is modular so that extra boards like sensors can be easily connected and it comes with the Microchip PICKit4 debugger and programmer for simple development. It has a complete HTML based training course with a book and lots of sample projects to back it up, everything you need to learn PIC microcontroller programming from the beginning. Our latest AVR microcontroller traing kit, STK200-X-ICE, is based on ATmega16 microcontroller and AVR-ICE programmer and debugger. Like the PIC version, it is modular so you can add extra features like keypads and LCDs very easily. It has browser based tutorials, lots of sample projects using Atmel Studio 7 and books on CD to cover everything you need to know.